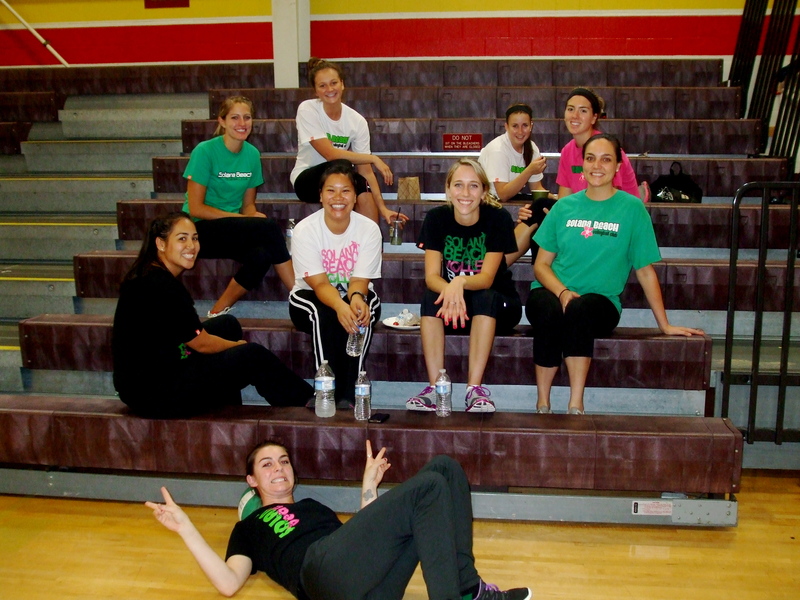 I have been coaching girls volleyball since 2007 in the San Diego area. I annually wretch and complain throughout the season to my loved ones…mainly about what I refer to as, “Non-Volleyball Related Things”. This is usually related, but not limited, to players misbehaving (expected), parents misbehaving (I hate conflict), general scheduling issues. I just love the game so much, that I hate to let emotion interfere with it. I LOVE VOLLEYBALL and my volleyball family! Being able to coach somewhere where I can help young ladies build character, integrity, and at the same time, compete athletically is extremely valuable to me. 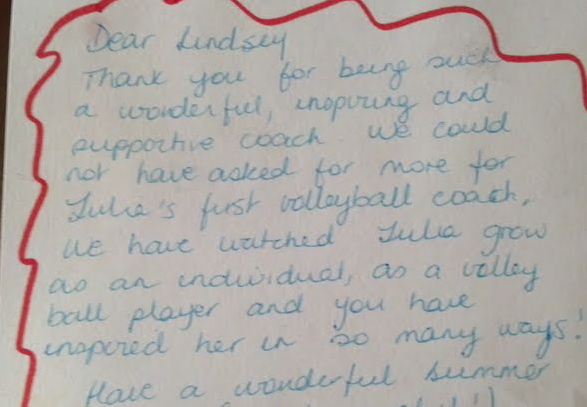 I am grateful for SBVC and for my players and their amazing and supportive parents/grandparents this year. THANK YOU!! 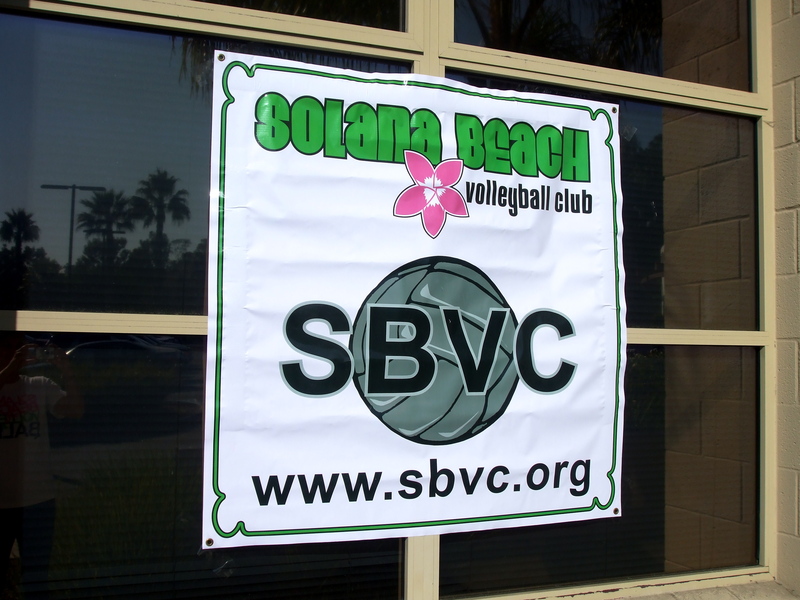 Below are a few of the reasons (some easier to read than others) why I find it nearly impossible to not continue my “volleyball career” with [the non-profit] Solana Beach Volleyball Club. Long story short, this is the best end of the year coach’s gift I have received yet. To have the parents take the time to write a few sentences is so much more meaningful than that thank you card with everyones names signed on it. Thanks Team – You kept a smile on my face for days! This year I’m coaching the youngest age group I have ever taken for an entire season – 13 and under girls. For the past 5 years I have only coached high school players at the club level, so a more competitive and “learn/win” driven approach to coaching. What’s great is that I coach for a volleyball club that doesn’t JUST focus on winning. We feel that while winning is lovely, it isn’t the most important thing in the world, and we would never compromise our integrity or our players just to put a “W” up on the board. I think that this season is going to give me a huge opportunity for personal growth in the patience and creativity department, as I have a full roster. What a lovely group of ladies we have coaching this year! Later today we will meet with the parents for around an hour, and then the girls will get to practice for the remaining hour. 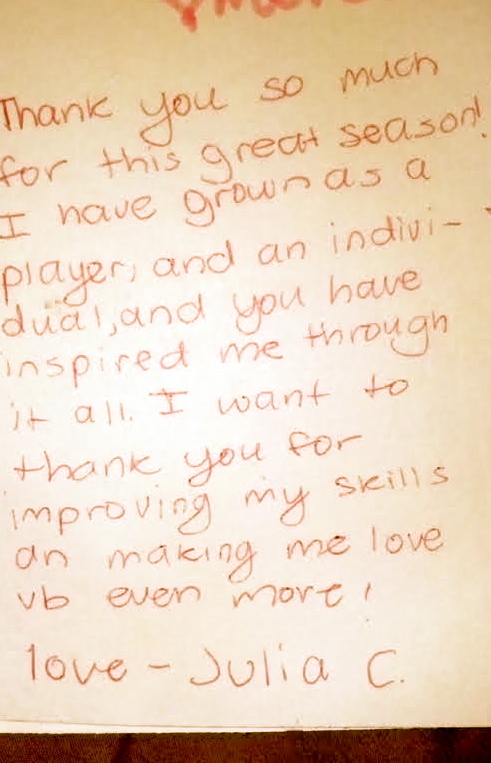 I’ll try not to scare them too much with my 4 page packet of what I expect of both players and parents, and then hopefully I can get all of the girls to learn and remember each other’s names before the end of the hour.